“In God We Trust” license plates are already available in 20 states. In some states, such as Tennessee after its 2017 bill, the phrase will appear on every license plate. Not only are these bills divisive, they also frequently help fund religious groups without requiring transparency or oversight. This creates a situation ripe for abuse with the state aiding and abetting this activity. “In God We Trust” license plates are already available in 20 states: Alaska, Arizona, Arkansas, Florida, Georgia, Indiana, Kansas, Kentucky, Louisiana, North Carolina, Ohio, Oklahoma, Pennsylvania, South Carolina, Tennessee, Texas, Utah, Virginia, West Virginia, and Wisconsin. 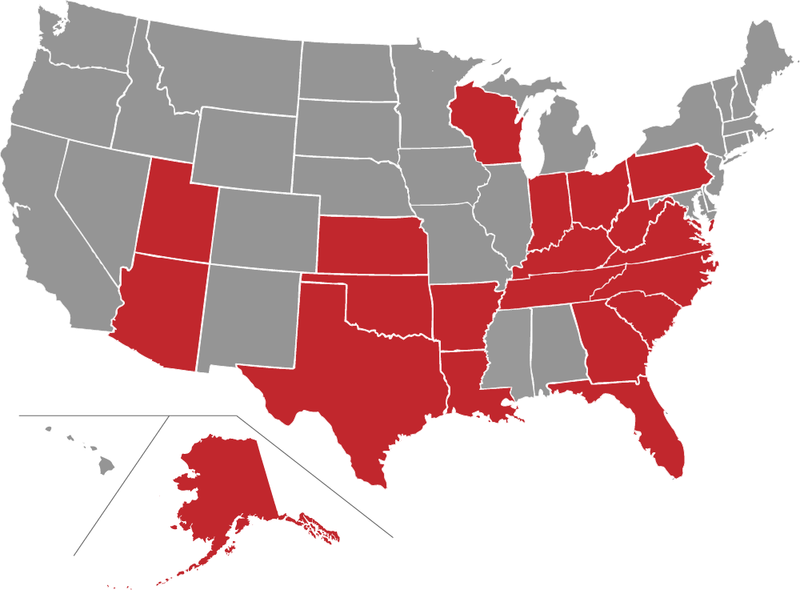 The trend is quickly spreading—between 2016 and 2017, IGWT license plate bills were passed in Pennsylvania, Utah, Tennessee, and West Virginia. Bills mandating these license plates are easy to pass, and as such, they are the low-hanging fruit acquired first. Once these bills become law, Project Blitz intends to build on that momentum to unleash even more harmful attacks on the freedom of religion. The truth is that these bills are an attempt by Christian nationalists to further their false version of American history and impose their religion on everyone else. They also represent an obvious effort by these special interests to provide funds to religious organizations without transparency or accountability for each license plate purchased. For this reason, many of these bills have been struck down as unconstitutional. Taxpayers should not have to pay to defend a law that is neither necessary nor constitutional. Frequently, the funds raised by the sale of these license plates are provided to religious groups without transparency or oversight. This creates a situation ripe for abuse and, by facilitating the donations through the purchase of license plates, makes the state a party to that abuse. In Idaho, a 16-year veteran of the Idaho Legislature and one-term U.S. Congressman Bill Sali, proposed an "In God We Trust" specialty plate that would have raised funds for the American Heritage Foundation, an organization formed by Sali and his wife that would have worked to educate about “foundational principles and history of the United States.” Sali believes that the U.S. was founded on Christian principles that were derived from scripture. The legislature rejected Sali’s unseemly attempt to enrich himself and Sali let his foundation dissolve.